I love cooking for my family and friends. There are times, however, when spending time in the kitchen is not possible. It is times like these that I try to plan ahead and utilize my crock pot. It is great on busy days or days when you are running errands around town. 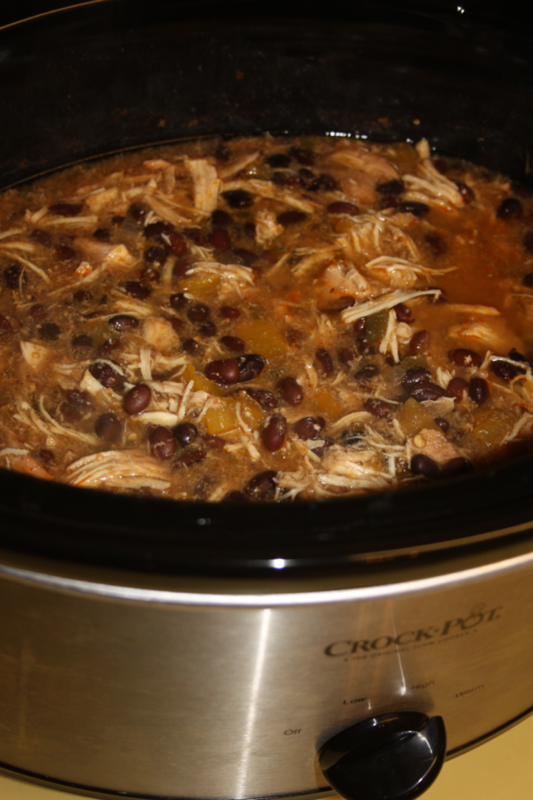 I also like using the crock pot because I know it will keep me from ordering a pizza or running out to get fast food. Don’t get me wrong–there are times for take out, and I do enjoy take out on occasion. For the most part my family eats at home because I like knowing what is in our food (plus Jeffrey doesn’t like to eat out). 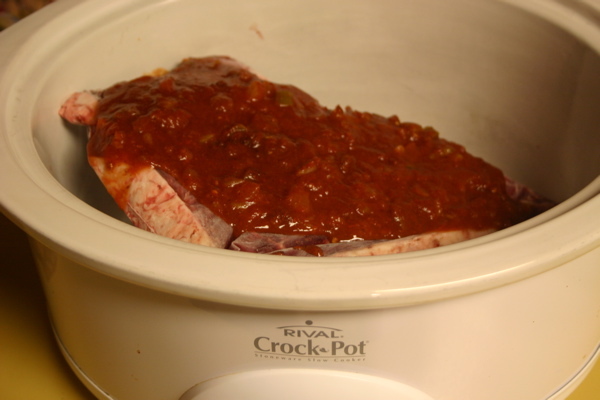 Using your crock pot does take some planning, but it is well worth it when you come home after a long day and dinner is waiting for you. With this meat all I have to do is heat up some beans, and throw together the toppings, warm some taco shells or tortillas and we are good to go. This recipe is a fairly new one for me but it has definitely become a family favorite. 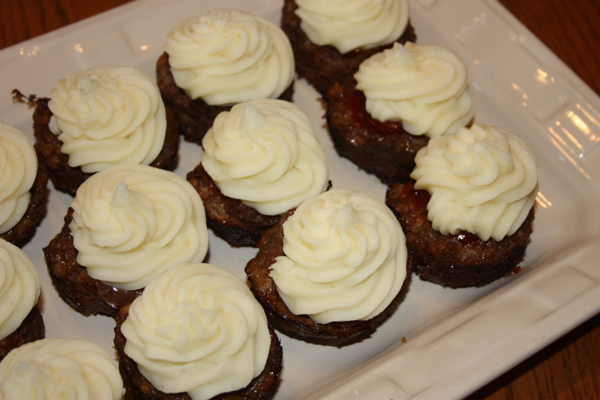 We even prepared these on our last ski trip so that when we got back home after a long day of skiing we could dig in. Most of the time I use this for tacos but it is also excellent for burritos or even served over rice with beans and your favorite toppings. We have even used leftovers for nachos. Just top the chips with meat, refried beans, salsa and cheese. I apologize for not having a picture of the finished product in a taco but the natives were restless and there was no time for pictures. Combine salsa, vinegar, and chili powder together in a 2-cup measuring cup. 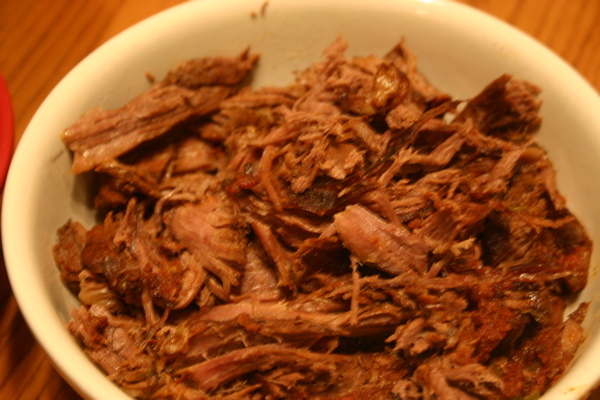 Put chuck roast (you can even use frozen) in crock pot. Pour salsa mixture over meat and cook on low for 10-12 hours or until the meat shreds with a fork. When it has cooked long enough shred the meat removing any fat that is present (The easiest way to remove the fat is if you shred the meat on a cutting board rather than in the crockpot). 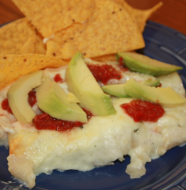 Serve with additional salsa, sour cream, guacamole, cheese, lettuce, and tomato. If you don’t want leftovers feel free to 1/2 the recipe but you won’t regret having these leftovers in the fridge. Chuck roast with salsa mixture poured on top ready to turn on. One Comment on "Chili-Shredded Beef"
Julie and I made this for dinner last night. It was really good! Thank you for another delicious recipe!